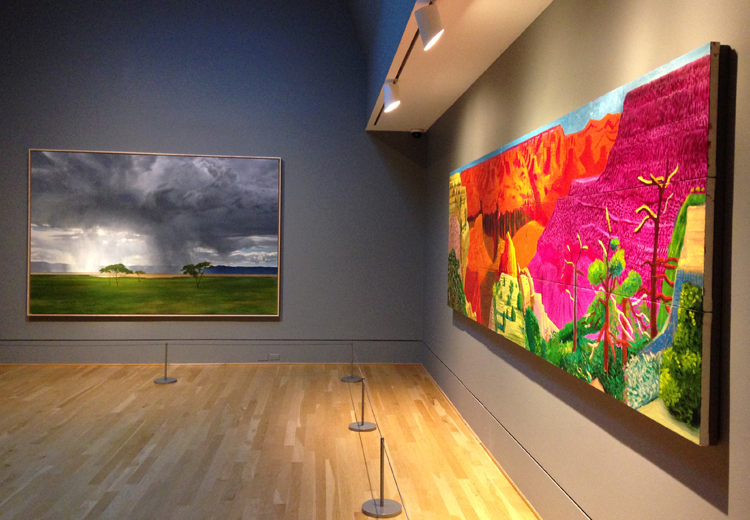 Installation shot of Seeing Nature. Left: April Gornik, Lake Light, 2008. Oil on linen, 72 1/4 x 108 1/4 x 1 5/8 in. Right: David Hockney, The Grand Canyon, 1998. 48 1/2 x 168 in. ; Both Paul G. Allen Family Collection. 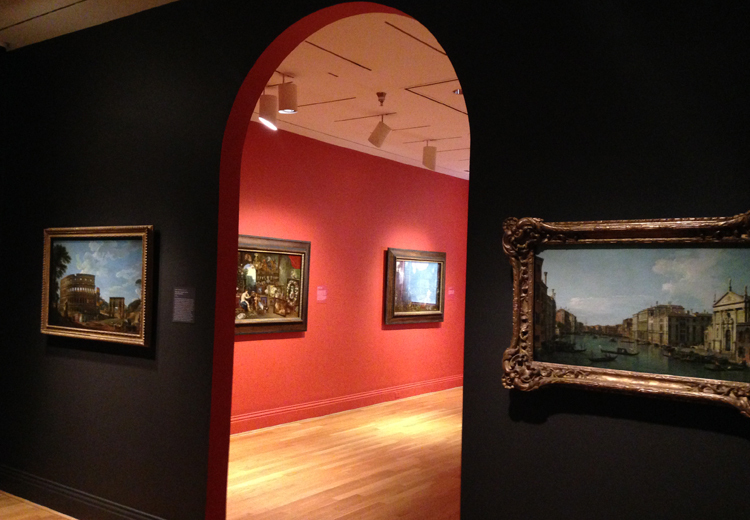 Seeing Nature: Landscape Masterworks from the Paul G. Allen Family Collection opens this Saturday, February 6. 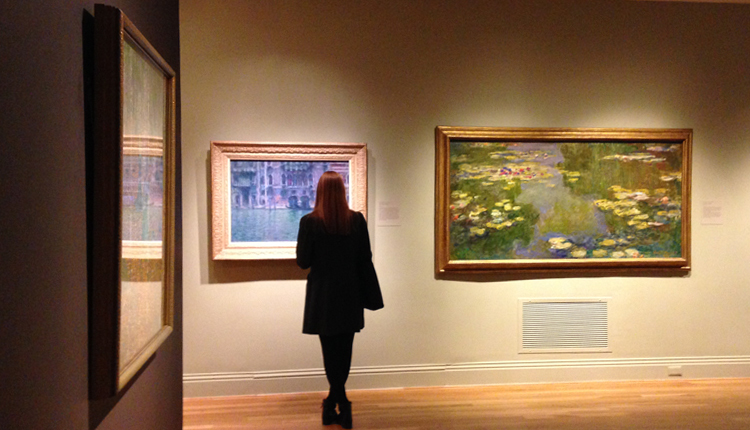 Here are some photos our staff snapped in the galleries just after everything went on the walls.